The Republican Party today is not the same as when it won with President George W. Bush. In Texas, 50 percent of Hispanics voted for George W. Bush for governor and between 35 and 44 percent of U.S. Hispanics voted for him in 2000 and 2004 for President. In 2004, 80 percent of Evangelical Hispanics voted Bush. The Hispanic vote for the GOP nominee in 2008 was 31 percent, in 2012 about 26 percent, less in 2016; in fact, the 2016 Hispanic Presidential vote may be a record low 20 percent based on actual vote counts in Florida, Texas and Wisconsin. My views on the GOP and Hispanics started over 50 years ago when the late Rear Admiral Leslie E. Gehres (USN ret.) was County Republican Chairman in 1962. That is when I became active in the GOP. Being 21 and a Gung Ho “Young Republican” I became a “gofer” for the Admiral and the behind-the-scene money men/women of the county GOP. Those were heady days for a young political junkie. “No,” he said, “your people don’t vote. I went on that year (1962) to serve as co-chairman of a statewide Richard Nixon for Governor committee, served on three legislative campaign committees, the Sheriff’s committee and was hired by a two-year-old Los Angeles campaign management firm, Spencer-Roberts to campaign for United States Senator Tom Kuchel. My job was to run the campaign in California’s, then the third largest county in the country. This WWII-famous admiral never imagined that San Diego County and California would be 40 percent or more Hispanic and that Hispanics would deliver million-plus-vote pluralities against Republicans Presidential candidates. I did, and I told everyone at the time. They didn’t listen. They didn’t want to listen. Fast forward to the other night at a beautiful hillside house overlooking the Pacific Ocean. One hundred fifty people showed up to a $500-a-couple fundraiser to help Hispanic Republicans run for office in California. Most were Anglos. Two mayors, two district attorneys, one sheriff; “Big” money people, elected state and local officials, and famous people like diet-Guru Jenny Craig. The fundraiser was organized to help “Grow Elect.” It is directed by former Northern California County Supervisor, Assistant to President George W. Bush and immediate past President of the San Diego Regional Chamber of Commerce – Ruben Barrales. Moishe Moreno and non-Hispanic Kevin Spillane work with him. They school Hispanic Republicans how to run for elective office from water districts up to and including the state legislature. They help with voter materials, strategy and money. Money raised at events like this one in San Diego. Esther Valdes electrified the crowd with a fiery speech that rocked the mostly Anglo audience. They liked her. The GOP hierarchy is still thinking like 1960s Republicans who criticized this writer for what they perceived as a “chip on the shoulder.” They didn’t listen to my message. Bring Hispanics in or lose! Some, not all, are listening now, now that California Republican registration is only 25 percent and shrinking. Independents will soon outnumber Republicans in California. The ultra-mainstream New Majority Republicans of San Diego County have joined up by delivering a check for $25,000 to add to the same amount raised at the beautiful house overlooking the ocean. The fundraiser was in progress when the California Republican Party announced that former Trump Senior Advisor, “Nationalist” anti-immigrant, “America First” Steve Bannon would speak at the State Party meeting 48 hours hence. He has “declared war” on the people who were at this event. 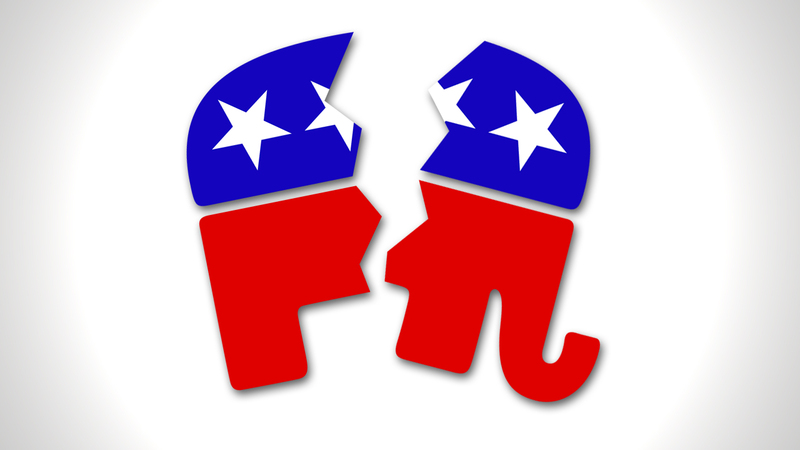 Which Republicans will win this epic struggle? Answer: We don’t know; but, Grow Elect is doing what should have been done 50 years ago. It is building towards a diversified Republican Party with educated business and professional Hispanics — not Steve Bannon. Contreras is the author of “The Armenian Lobby and U.S. Foreign Policy” (Berkeley Press, 2017) and “The Mexican Border: Immigration, War and a Trillion Dollars in Trade” (Floricanto Press); he formerly wrote for the New York Times’ New America News Service.